The exact origins of any martial art are obscure, although there are any number of historical theories and timelines. The most pragmatic view is that the martial arts did not originate in any one country but evolved as systems of self-defense shared and distributed as humanity migrated. Additionally, history is written “by the victors” and is strongly influenced by politics, finance and other factors. 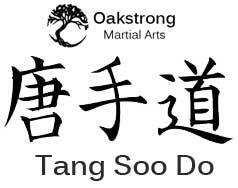 Here is a very brief modern history of Tang Soo Do. While the martial art of Tang Soo Do is relatively modern, its roots lie in the ancient Korean art of Soo Bahk Do which can be traced back many centuries. Tang Soo Do is a style composed from several major areas and styles – Soo Bahk Do, Northern and Southern China Kung Fu and Okinawan karate. The occupation of Korea by the Japanese military took place from 1909 to 1945. During this period, practicing and teaching of any martial art was restricted. After World War II this restriction was lifted and several martial arts training schools were soon established. Several organizations were formed including the Korean Soo Bahk Do Association in 1945 by Great Grandmaster Hwang Kee. 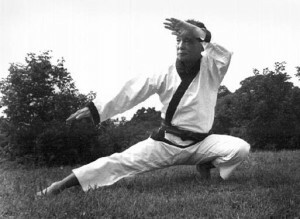 In 1957 Hwang Kee discovered and strongly referenced the Moo Ye Dobo Tong Ji (Illustrated Manual of Martial Arts) at the National Library in Seoul, Korea. Based upon references within the text, Hwang Kee began to use the pseudonym Soo Bahk Do (Hand Fighting Way) along with Tang Soo Do to refer to his art. Other various Korean systems united in 1965 into one organization, called the “Korean Tae Kwon Do Association” and the art was uniformly called “Tae Kwon Do”. Tang Soo Do and Tae Kwon Do remained separate, with Tang Soo Do striving to remain as a traditional martial art while Tae Kwon Do held its world games and sports. Hwang Kee’s organization continued to grow, and in the 1970’s began to establish schools in the United States founded by U.S. servicemen who had trained in Korea. An official United States branch of the organization known as the U.S. Tang Soo Do Moo Duk Kwan Federation was established in 1975. Since then many other organizations have been established in the United States and Tang Soo Do is no longer under any single unified banner. With failing health Great Grandmaster Hwang Kee passed peacefully on July 14, 2002. His tremendous impact on the martial arts world will continue to live on through the Tang Soo Do and Soo Bahk Do practitioners around the world.